Meeting the stringent performance, power and cost requirements of modern embedded systems requires students to gain competencies in system design such as architecture, partitioning, profiling and tradeoffs using platforms composed of user-definable software and configurable hardware. Exploring the large design space (containing a plethora of HW/SW alternatives) toward an efficient solution not only requires detailed hardware architecture and software design knowledge, it moreover requires integrated system design skills spanning horizontally across HW/SW as well as vertically across abstraction levels in the execution stack. The overarching goal of this project is to utilize the model-based design approach of Matlab/Simulink for hardware/software codesign. 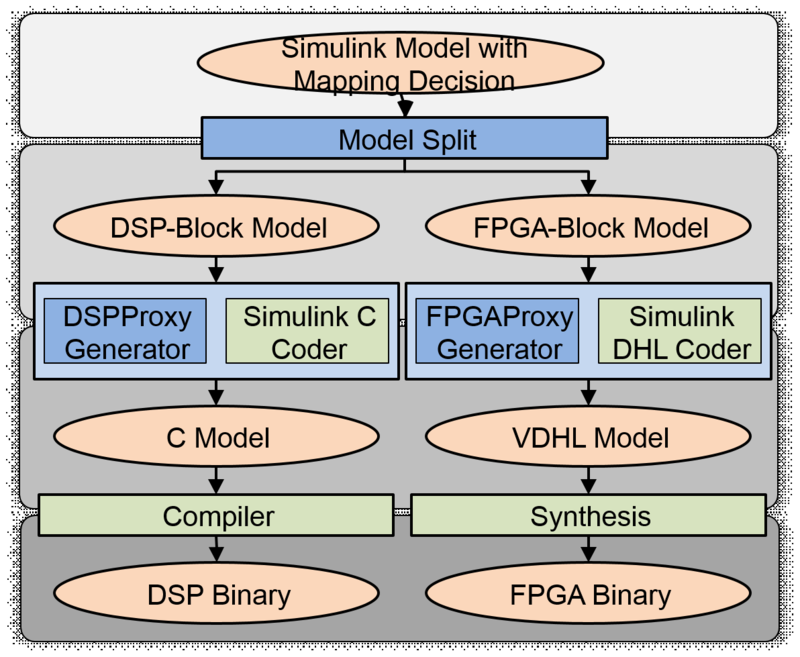 For that we integrate the capabilities of Simulink Embedded Coder for generating software and Simulink HDL Coder for synthesizing hardware (mapped to an FPGA), with our custom communication synthesis. We target execution on a DSP / FPGA platform (link). Feng S, Driscoll C, Fevold J, Jiang H, Schirner G. Rapid Heterogeneous Prototyping From Simulink. In: International Symposium on Quality Electronic Design (ISQED). ; 2015.